Kim Pimmel is an engineer who also happens to be a filmmaker. He has a cat named “MIDI”, clearly the geekiest cat name ever. His cat does something many don’t – he doesn’t flip out when something unexpected happens, such as giving him a ride on a motorized skateboard. 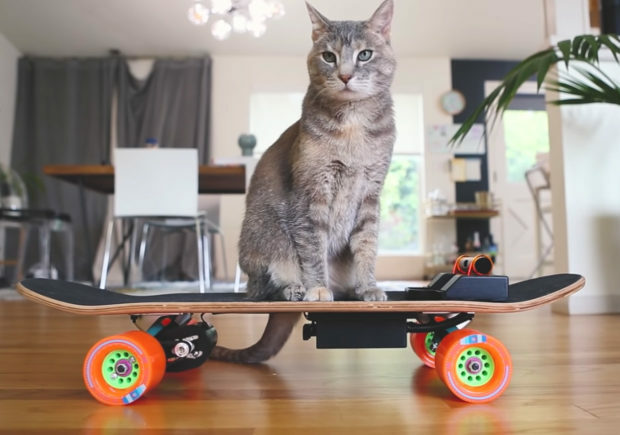 The cat-customized electric skateboard has a throttle lever on it, and when Kim drops a treat into a hole on the lever, MIDI paws at it. 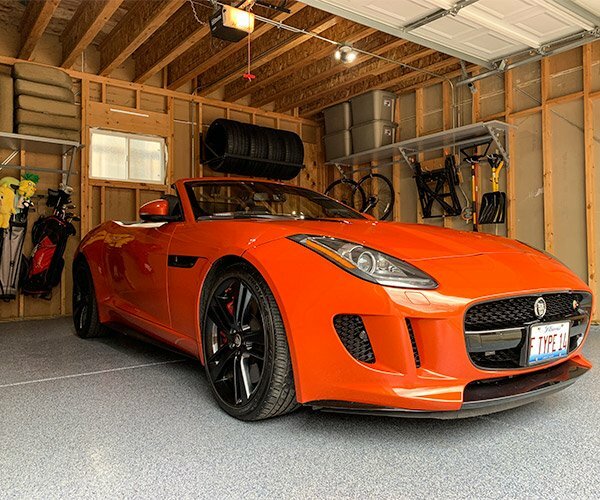 That action not only delivers the om-noms to Mr. Kitty, but it also activates the electric motor, taking tabby for a ride. Check out the video of MIDI cruising around the house on the slick contraption. Clearly, kitty needs to hit the halfpipe. Our dog hates cats. Say the word “cat” and he has to go patrol the backyard to ensure the sanctity of his domain. I wonder how he would feel about cats tooling around on skateboards.